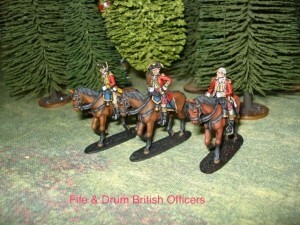 Fife and Drum Miniatures made it past their first stretch goal over in their Revolutionary War Kickstarter campaign. Fife and Drum Miniatures has passed it's first stretch goal of $9000 and has unlocked the "Spirit of 76" vignette at the $6 or higher level. Next up is Tarleton himself as we move along to our $12k stretch goal. Come check us out and help support our upcoming goals.